It’s part three of the Road To Cheltenham and Buveur D’Air’s Fighting Fifth victory is just one of the performances to go under the microscope. This was a good week for Nicky Henderson, with his reigning Champion Hurdler making an utterly convincing comeback, his big-noise novice chaser an almost foot-perfect debut and one of his novice hurdlers demonstrating a great deal of raw talent. You couldn’t say it was a bad week for Gordon Elliott but, after a certain significant reversal, let’s just say the Choir Of True Believers has fewer members than this time last week. 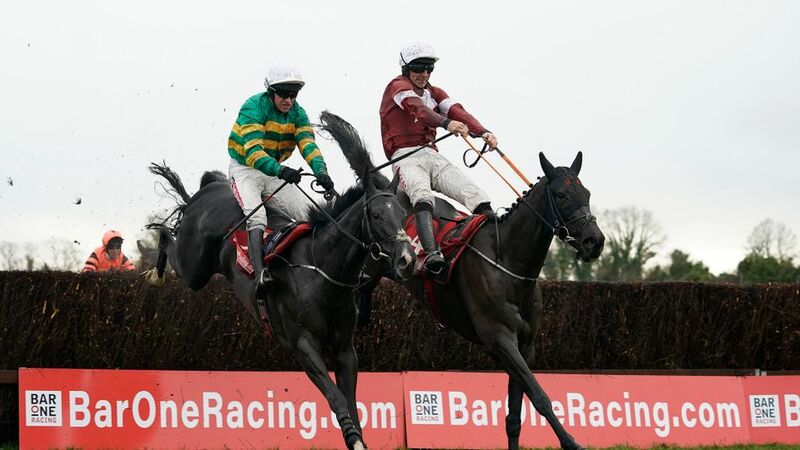 So comprehensively did Buveur D’Air brush aside the sainted Samcro in last Saturday’s Fighting Fifth that trainer Nicky Henderson was emboldened to make comparisons between the winner’s technique and that of the most recent triple Champion Hurdlers. “There’s one similarity between See You Then, Istabraq and this horse and that’s how quickly they cross a hurdle. That’s why they’re so good. Apart from that last hurdle [in the Fighting Fifth], he is just so slick and quick,” he observed. And Henderson should know – he has trained two of the three horses cited. That final obstacle at Newcastle, which Buveur D’Air walked through, was indeed the only visual scar to an otherwise flawless performance. It probably should be interpreted as better than anything we saw from him last season, including his second Champion Hurdle triumph. In the afterglow here, Henderson added ballast to this interpretation when explaining that he couldn’t get Buveur D’Air right after his neck defeat of Melon last March at Cheltenham. He therefore opted to miss Aintree, where his horse had won the 2m4f Grade One the previous season. An “unsatisfactory trachea wash” was the official reason given at the time and lukewarm mentions of Punchestown proved no more than that. Since then, the horse has undergone surgery to correct his breathing. Whatever the nuts and bolts, Willie Mullins should surely work on the premise that his 2018 Champion Hurdle runner-up actually has rather more than a neck to find. Some analysts have even argued that Buveur D’Air’s latest success is a career high and I can’t entirely dismiss this, albeit the race was a steadily run small-field affair in which at least one key rival was clearly below his best and the true strength of the winner’s net opposition (bar the unfortunate Bleu Et Rouge) was not yet a known known. What I mean is that Samcro’s official rating was based on: dotting up in a Ballymore depleted by his presence, not completing in the Punchestown Champion Hurdle and being beaten by a horse (Bedrock – a non-runner at Newcastle due to a swollen hock) deemed to have suddenly run 10lbs above himself. In short, I do not know what Samcro is. There are some things he’s not. He’s not a Champion Hurdle winner as long as he retains that airy technique. Yet it also seems connections have decided he won’t step up in trip for the Stayers’ Hurdle, neither is he a 2019 Arkle or JLT contender nor, presumably, the 2020 Gold Cup hero-in-waiting. Instead, he’s seemingly going to take a rain check until next season unless he can somehow – for reasons not yet apparent to any observer – turn this form around. A couple of Grade One hurdling targets in Ireland have been mentioned, to occupy his attention the meantime. Elliott suggested prior to Saturday that Newcastle might be “a little on the sharp side” for Samcro, even though it’s more galloping than the constantly turning Old Course, venue of the Champion Hurdle (and Ballymore). Perhaps it was the three quick hurdles in Newcastle’s straight he was thinking of when making this remark? While we’re scratching around for further mitigation, Samcro also didn’t look entirely happy making his own running. He’d surely be better taking a lead in a well-run race such as a Champion Hurdle. So, for the life of me, I can’t work out why The Second Coming is having a second season over hurdles now we’ve all witnessed him being comprehensively outjumped and outpaced by Buveur D’Air. The Life Of Samcro has turned more Brian, as he haplessly trails round a Messiah’s path. “Oh, geez, he’s a chaser,” Gigginstown’s Eddie O’Leary had said, amid the post-Ballymore scenes. “They’re all chasers. If it’s hurdles, with us, it’s on the way.” Yet the wayside clock is ticking for Samcro. At this rate – not to be too old-style Daily Mail about it – he’ll be eight years of age if contesting novice chases at next season’s Festival and nine in the 2021 Gold Cup. Will they regret leaving it too late? Sure Don Cossack, Imperial Commander and *cough* Synchronised managed to win Gold Cups at the first attempt at the age of nine in recent years but by modern standards, that’s at least a season later than la mode. Perhaps tellingly, all three were also in their third – not their second – season of chasing at the time. So, I say again: what the chuff does it mean, this intransigence? Is there something they’re not telling us? Has Samcro even – Hail Mary, may I repent the ungodly thought – schooled poorly over fences? Because otherwise it’s totally baffling, whatever Arkle gauntlet stablemate Mengli Khan threw down last week. That Samcro would exit, pursuing the Arkle, post-Newcastle formed part of my logic in backing Summerville Boy for the Champion Hurdle at 12/1 last week. I also wanted to see flashes of a more mature article from that horse himself with next March in mind. Instead, I’ve ended up with neither and he’s now a best-priced 20/1. However, it may only be the battle I’ve lost rather than the war. I still think there’s a good chance that, come the Festival (or perhaps even earlier), it will look a decent bet given he clearly did not run his race at Newcastle and there are sound arguments against four of the seven horses quoted at shorter – five, if you include Samcro. (And I do: better not to run your race at all than to run it and be soundly beaten.) Bookmakers have over-reacted. I won’t have it that Summerville Boy “can’t jump” on the basis of one race – he jumped cleanly bar the final flight in last term’s Supreme, when playing catch-up as a result of being hampered at the second last. Yet he never found a rhythm at Newcastle, looking profoundly rusty, and ran as underwhelmingly as his lack of market confidence presaged. It all shouted him needing the run. Admittedly, it would have been more encouraging had trainer Tom George suggested he wasn’t expecting much first time out but that didn’t seem to be the case. Instead, he has back-fitted last season’s then-disheartening hurdling debut from the horse to explain away the disappointment. This horse’s next race will be crucial to his development. He clearly needs a strongly run race to function at his best and is far more likely to get that in something like Ascot’s Grade Three handicap hurdle later this month or Newbury’s Betfair Hurdle in February than in Cheltenham’s International Hurdle next week or Kempton’s Christmas Hurdle. However, George repeatedly turned down opportunities to run second-season hurdler and abortive Stayers’ aspirant, The Worlds End, from a favourable handicap mark last season so I’m not holding out much hope. Let’s at least trust it’s the Cheltenham Grade Two next rather than Kempton’s Grade One, the latter being totally and utterly unsuitable as opposed to just non-ideal. Meanwhile, we can clearly expect Henderson to map out a reliably identical campaign from here for Buveur D’Air, comprising the Christmas Hurdle and Sandown’s Contenders Hurdle – which this horse has won the last twice – in February. If Gigginstown did Champion Hurdlers, Apple’s Jade would probably be the best (in their world). However, Elliott’s strong steer after she brought up a hat-trick in the Grade One Hatton’s Grace last Sunday is that she will return to the OLBG Mares’ Hurdle for a third successive year. “I’m a big believer in going for the race you have the best chance of winning and at Cheltenham that is the Mares’ Hurdle,” he asserted, deadening the spirits of sports fans everywhere. The mare’s latest success is therefore predominantly dealt with in that section, albeit she is talented enough to feature in all three of my championship-hurdle ruminations. 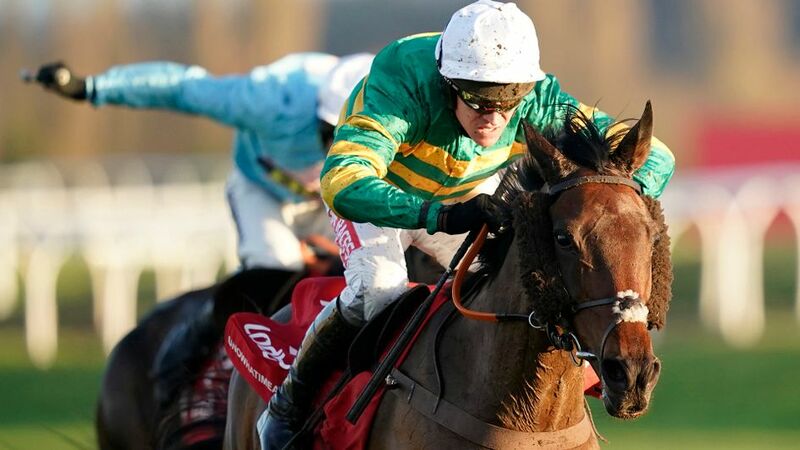 Highly though I rate her ability and deadly though she would be in most races with a 7lb mare’s allowance, I happen to think Buveur D’Air would beat Apple’s Jade in a Champion Hurdle anyway, on two counts. First, she’s not as rapid as him at two miles. Second, three years’ Festival evidence suggests Cheltenham does not bring out the best in her, even if footnotes contain excuses for two of those efforts (2016 Triumph – returning from setback; 2018 Mares’ Hurdle – in season). Even when she won in 2017, she delivered more high-achieving performances at Punchestown on either side of that outing and also at Fairyhouse earlier that season. As mentioned last week, Jessica Harrington could well direct Supasundae – whose latest defeat by Apple’s Jade at Fairyhouse was exaggerated by his rider’s disinterested tactics, perhaps in anticipation of a characteristically rusty return to action – towards the Champion Hurdle this term. She stated in her At The Races stable tour: “We are very much keeping our options open with him and he could end up anywhere from two miles to two-and-a-half miles to three miles.” However, there was ultimately a lot less to boast about in his last-term defeat of Faugheen and I suspect Supasundae simply isn’t good enough. So that’s Samcro, Apple’s Jade, Supasundae and Min – all of whom are currently shorter in the Champion Hurdle market than Summerville Boy and stand far less chance, for various reasons, of playing a leading role. Farclas, who may have led home an inferior bunch of juveniles in last term’s Triumph, was never involved behind Apple’s Jade and might either range up in trip or, handicapper permitting, down in grade. Wicklow Brave was the only rival truly to roll up his sleeves against the brilliant mare last Sunday but ultimately looked a shadow of his former self. That leaves his stablemates, Melon and the mare Laurina, both of whom are yet to race this season, as the most credible threats to Buveur D’Air. 8/1 about the former appeals far more than 5/1 about the latter, given Melon will definitely run here bar mishaps yet Laurina has the ever-present softer option of the Mares’ Hurdle. Backing her prior to non-runner-no-bet terms would be an act of high-wire bravery, however, because one false move once she reappears on the track could see such protestations of valour morph into discretion come March. Carrying top-weight, Global Citizen had to win the Gerry Feilden – or Newbury’s Ladbrokes Intermediate Hurdle, if we must – if his Grade One pretensions were to be considered in any way realistic. After setting about dismantling his opposition in characteristically enthusiastic style from the front, he clung on courageously from improving Lisp – who can land a decent handicap prize soon – and Mont Des Avaloirs. 2012 Champion Hurdle winner Rock On Ruby sets the happiest recent precedent, having won this race from a mark 1lb lower (albeit more decisively) prior to finishing a close second to Binocular in the Christmas Hurdle and winning at Cheltenham three months later. Global Citizen will be following the same path, initially at the very least. Kempton will suit this horse better than Cheltenham, given his open-book run style is both his weapon and his weakness. A better jump at the last would have sealed the deal more decisively at Newbury and it’s worth noting subsequent comments from trainer Ben Pauling suggesting reasons to expect improvement. If you can’t say anything nice, don’t say anything at all. If I stuck to this advice with regard to analysing a performance worthy of this Cheltenham target during the past week, there wouldn’t be much to read here. 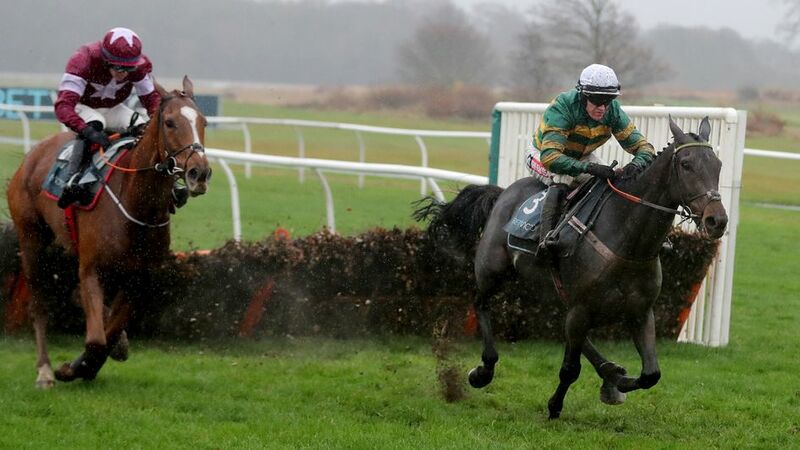 Yes, it was genuinely delightful to see Unowhatimeanharry winning a second Long Distance Hurdle at the age of ten but, as partner Barry Geraghty immediately acknowledged, it’s hard to imagine he’s the force he was when first winning that Grade Two event two years ago. He clearly needs all of three miles these days and the first-time cheekpieces were not merely a fashion accessory, as he still hit a few now-customary flat spots before coming home powerfully from after the second last on Friday. The weights were also in his favour, free as he was of the penalty he had to carry in last year’s edition. Trainer Harry Fry has no expectation of winning a Stayers’ Hurdle at the third attempt and will instead take strategic pot-shots, with this month’s Long Walk Hurdle at Ascot the next logical target. Runner-up Clyne performed with credit on his first attempt at three miles – a distance that frequently demands acclimatisation. This widens his options for trainer Evan Williams, although this horse absolutely must race left-handed. Third-placed The Mighty Don is a thorough stayer and appeared to record a personal best. The big disappointments were the best of British in last season’s Stayers’ Hurdle: third-placed Wholestone and fifth Sam Spinner. Both were carrying 6lb penalties but that wasn’t the cause of their underachieving. It’s possible Wholestone has contrived to find a reason to dislike Newbury, the vanilla of racecourses in topographical terms, and could bounce back from a woeful effort here, just as he did last season – albeit connections then blamed “a couple of problems” he’d sustained during or since that run. Last Friday, it was striking how swiftly he went from travelling well to thoroughly vanquished. However, the balance of his form suggests pushing him out to as long as 33/1 as a result – even though I don’t fancy him to win at Cheltenham in March – is an overreaction. This is currently a very shallow division, especially this side of the Irish Sea. Sam Spinner hit the first hurdle and never seemed confident thereafter, too often putting in a safety-first extra step at his obstacles and thereby losing vital momentum. In that sense, it was actually a similar story to when setting a far-too-sedate pace in his Stayers’ Hurdle attempt. Here, he accepted a lead from Monbeg Theatre rather than taking him on but was struggling to hold his position from a worryingly long way out. He was already soundly beaten when, switching to avoid the prone Momella at the second last, he unseated Joe Colliver. This was nothing like the swashbuckling young hurdler seen at Haydock and Ascot last season. Trainer Jedd O’Keeffe has admitted that he and his inexperienced jockey got the tactics wrong at Cheltenham, when seemingly failing to recalibrate on the withdrawal of fellow front-runners. Colliver was also making his debut at the track. O’Keeffe believes Sam Spinner was over the top when a well-held third in Aintree’s Liverpool Hurdle and said he would very much come on for the run at Newbury. Ascot’s Long Walk Hurdle that he won last year – also on Colliver’s debut at that course – was understandably connections’ chief short-term target. However, this comeback was disconcerting and O’Keeffe was not inclined to explain it away merely on fitness grounds. Sam Spinner had a bruised foot at the moment of his intended reappearance this season in the West Yorkshire Hurdle but wouldn’t have run anyway due to the ground being too quick. Maybe that setback played a part here or perhaps the pilot needs refreshing, however reluctant O’Keeffe would be to consider such things? It’s a brutal fact of life in this sport that when something better change, it’s often the jockey – whether deservedly or not. The mare Momella, formerly trained by Dan Skelton, was making her debut for Fry and trying three miles for the first time but did not appear done with when stumbling and crumpling on landing after the penultimate flight. She isn’t evidently bred for the trip, mind. There might be hope in that regard, however, for Vision Des Flos if Colin Tizzard opts to step him up in trip. He was never in the hunt behind Buveur D’Air in the Fighting Fifth, despite having had the benefit of a run at Aintree previously, but there’s plenty of stamina on the dam’s side of his pedigree. Equally, he might be diverted back to the larger obstacles. The yard also has Thistlecrack, of course… but there has been no sign of wavering from his King George target. A clear-cut thumping in a hot-looking edition of that race is the only eventuality that would cause Tizzard to consider this option, I’d guess. Call Me Lord is now the shortest-priced British-trained contender for the Stayers’ Hurdle but trainer Nicky Henderson – who also has high-class poseur L’Ami Serge in his yard – maintains he must go right-handed. He could return over two miles at Sandown this Saturday. The Hatton’s Grace may turn out to have little relevance to the Stayers’ Hurdle should Apple’s Jade run, as proclaimed, in the OLBG Mares’ Hurdle and Supasundae opt for the Champion Hurdle. The rest – plugging-on fourth Bapaume, less-than-fluent Early Doors, never-in-it stripling Farclas, ageing Shaneshill and left-jumping Dortmund Park (ante-post favourite for last term’s Albert Bartlett until ruled out through injury) – are hard to fashion cases for. The next target for Apple’s Jade is over three miles in the Squared Financial Christmas Hurdle at Leopardstown but all indications are that this denotes as little about her intended Festival target as it did when she beat Supasundae in that race last year. Having fancied Supasundae for the 2018 edition of this race, I’m not now inclined to reprise the selection – not only due to the stated ambiguity of his Festival target and even though the balance of his form still puts him on the premises. He might have been anchored to some extent by the soft ground last year but he’d been registering (slightly) better performances on deep ground already that season. His trip versatility was also an asset: he was the only horse quick enough to go with Penhill in that total misnomer of a race, the entire still-standing field being in shot as they turned for home and the final flight. In short, he was better equipped than most of his rivals to play a leading part in last year’s edition and he finished second. That says he’s just as beatable a year on. He heads next to a repeat clash with Apple’s Jade over three miles at Leopardstown this Christmas, the lucky boy. Talking of Christmas plans, there are signs that Willie Mullins is having second thoughts about immediately stepping Faugheen back up in trip for that same race. Events of last weekend may have contributed to the notion that taking on Samcro over two miles would be the less arduous route for a fragile talent whom Mullins wants to get to the Stayers’ Hurdle with a credible shot at glory. Apple’s Jade is now best-priced at 2/1 favourite for this race after her imperious third Grade One Hatton’s Grace Hurdle success at Fairyhouse last Sunday, coming home 20 lengths clear of her nearest pursuer, Supasundae. It was a thoroughly devastating triumph – her eighth at Grade One level and her fourth as such in open company – even if all bar Wicklow Brave seemed happy to concede the contest via inferior track position from the outset. As her main rivals tried belatedly to get into the game, the winner magnificently turned the screw, meaning they should merely have got closer rather than have made a race of it. The preeminent Willie Mullins-trained trio of Melon, Laurina and Faugheen were significant absentees but nonetheless this was probably a career best from Apple’s Jade and certainly her most substantial performance from a number-crunching perspective since her 41-length romp in Aintree’s Anniversary 4-Y-O Hurdle in 2016. As I’ve argued in the Champion Hurdle section, there may well be reasons for Apple’s Jade not giving of her best on two of the three occasions that she’s contested the Cheltenham Festival but the facts still state she boasts superior form (of 7lbs and upwards) at other tracks. Even in the Mares’ race, I think she’s vulnerable and am in no rush to take 2/1, “little procedure” – *crosses legs tightly* – notwithstanding. Apple’s Jade was certainly flat when only third behind Benie Des Dieux and Midnight Tour last March. The winner currently holds two entries, over fences in the 2m4f John Durkan this Sunday and over hurdles in the three-mile Squared Financial Hurdle at Leopardstown over Christmas. Mixing both disciplines had (again) been mentioned by Willie Mullins for her this season. Midnight Tour, who massively outran odds of 33/1 but with no fluke about it when second last year, is not listed on trainer Alan King’s website as either being ‘in training’ or ‘resting’. That leads me to believe she might have been retired, although she also doesn’t appear under that section. The specific demands of the OLBG Mares’ Hurdle aren’t ideal for Limini. I still believe she’s better at two miles than this 2m4f trip and probably isn’t quite good enough to trouble even a below-par Apple’s Jade on the balance of evidence anyway. And she was straight-up disappointing last Sunday. She was better placed than most in the Hatton’s Grace – admittedly, her first hurdles outing since finishing third to Apple’s Jade in the 2017 Festival mares’ event – but still made little impact from three out and was ultimately beaten 22 lengths, despite being fit from a Flat campaign. She would have been fourth but for Bapaume fluffing the last. Back in January before she was sidelined last season, Mullins was pondering “a Flat campaign… or she could instead be covered and retire”. If last Sunday was a tacit test, Limini may have failed it. Her racing future could well depend on whether Mullins believes her yet capable of winning significant prizes on the Flat. The only other news to note, in matters ultimately unrelated to this division, was Lady Buttons looking a class above her rivals in a handicap chase at Newbury. She thrived in a fast-paced two-mile handicap and that success opens doors to valuable prizes for her this season. Next stop is Wetherby’s Castleford Chase over Christmas and if we see her at the Festival it may well be in the Grand Annual. It appears to have been one of those renewals of the Ladbrokes Trophy (Hennessy that was) contested not by upwardly mobile second-season chasers with Gold Cup ambitions but by worthy stayers destined to make their biggest impact in races such as the Welsh Grand National. Of course, two seasons ago, Native River won at Newbury en route to Chepstow glory and an excellent third (arguably second-best on merit, having pressed on a shade too far out) at Cheltenham, before going on to win the big one at the end of a sparse campaign the following term. Stablemate Sizing Tennessee has the same initial agenda after his 10-length victory from a mark of 149 at the relatively advanced age of ten – becoming the oldest winner of that iconic chase since Diamond Edge in 1981. Trainer Colin Tizzard’s post-race interview with Martin Kelly on the Newbury podium betrayed his surprise that this horse, rather than more fancied stablemate Elegant Escape, had prompted an acceptance speech but a King George entry nonetheless suggests a latent regard for the winner. He acquired Sizing Tennessee and others when the late Alan and Ann Potts removed their horses from Henry de Bromhead’s yard in autumn 2016 and saw flashes of ability from him as a novice. Indeed, I fancied him for the NH Chase in this column last season. Entries for the Cheltenham centrepiece are not made until January 8 but, on the basis of those comments and this performance, we can expect Sizing Tennessee’s name to be among them. To be fair, he cut a bold figure up front for much of the NH Chase last term, jumping very well, before palpably failing to stay. He was still in front approaching the last and yet finished more than 21 lengths behind Grand National hope Rathvinden and close-up second Ms Parfois – well beaten at Newbury last Saturday – by the line. That he ran next in the Scottish Grand National seems rather odd, albeit he was beaten long before stamina came into play there. This was a career-best performance by some way and, its manner not out of keeping with his previous style of going, no fluke. Yet the concern is that 11 years of age is rather late to begin dining at the top table. Tizzard’s expected flagbearer, Elegant Escape, got outpaced in the back straight second time around before rallying from sixth place at the cross fence (five out) to finish a decisive second. He shapes like a thorough stayer, a player in marathon chases at galloping tracks. Besides the winner, third-placed Dingo Dollar was the other revelation of the race. He took the race to favourite Thomas Patrick on the second circuit and was soon outjumping him, breaking his heart before the home turn. That was where the latter’s career progression came to an abrupt end (or hiatus), despite him looking magnificent in the paddock. However, Dingo Dollar didn’t quite get home – you can’t say he did too much up front because the winner was never far away – and perhaps a decent handicap prize at a maximum – or, perhaps better, shy – of three miles might be advisable. His unchanged mark of 148 looks handy in that context. His best form by far has come on left-handed flat tracks to date, mind. Back in a distant sixth, Grade One-placed novice Ms Parfois was well below her best. However, that’s been the case on her reappearance on each of her previous two seasons. She was also (or relatedly) sweating and on her toes at Newbury and will be better judged on her next start, presumably her long-identified aim of the Welsh Grand National. Top-weight Black Corton could never quite get into it; much as in last term’s RSA Chase, jumping with the big boys at this pace looks a shade too much of an exertion for a horse lacking physical scope. The Willie Mullins-trained Kemboy, recent winner of the Grade Two Clonmel Oil Chase, had been due to carry top-weight in the Ladbrokes Trophy but his absence was officially ascribed to a cancelled ferry. Jim Balfry of owners Supreme Racing pronounced himself “gutted” by the turn of events that led to the horse’s no-show. Balfry hopes Kemboy will develop into a Grade One performer and run next in the Savills Chase [formerly the Christmas Chase and the Lexus prior to that] at Leopardstown – where he could encounter (among others) Monalee, Road To Respect and Bellshill. 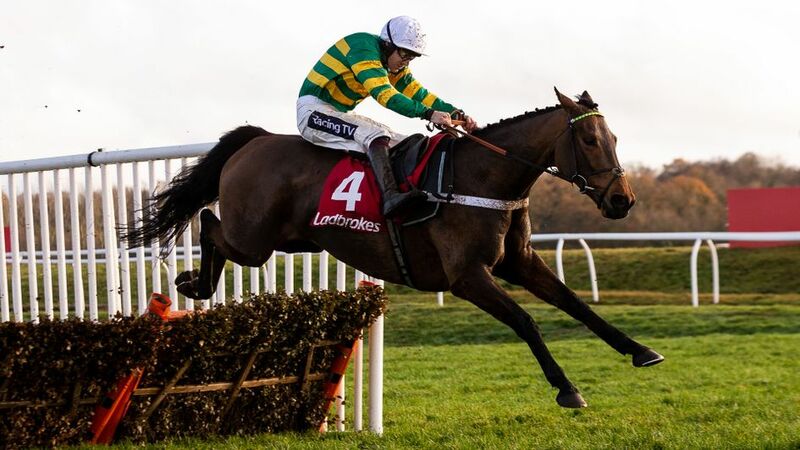 This likeable horse is certainly unexposed over three miles and shaped quite a bit better than his fourth behind Elliott-trained Gold Cup hope Shattered Love in the JLT might suggest, his blunder at the ninth having been caused to a great extent by Finian’s Oscar putting the brakes on immediately ahead of him. Kemboy is also entered in Sunday’s John Durkan Chase at Punchestown along with a host of other exciting rivals, many of whom would be making their seasonal debuts – including de facto Gold Cup favourite Presenting Percy. 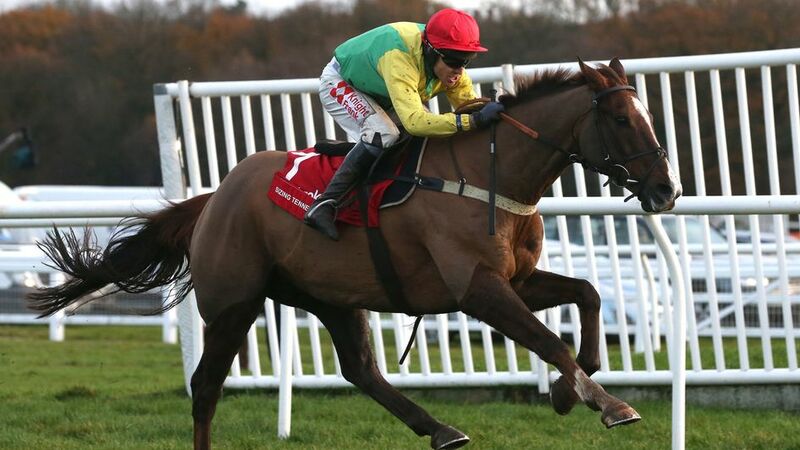 However, Jessica Harrington has indicated that 2017 Gold Cup hero Sizing John could start out on the comeback trail over two miles rather than get involved in anything more draining. Unorthodox but interesting. He hasn’t been sighted since underperforming in the Race Then Known As The Christmas Chase And Formerly Known As The Lexus, when described as “distressed and clinically abnormal” immediately afterwards and subsequently suffering from a mixture of hypothermia and over-heating according to his trainer. Later, Harrington believed she’d run him again too quickly after a seemingly good effort to win the John Durkan on his return from a tough Gold Cup-winning campaign and that was form that subsequently took several knocks. Finally, a week prior to a defence of his Gold Cup crown, Sizing John was ruled out with a “hairline non-displaced fracture of his pelvis”. Meanwhile, the King George is shaping up to be a corker with titleholder Might Bite, dual Betfair Chase winner Bristol De Mai and Gold Cup hero Native River all still on course to clash. The supporting cast currently includes Thistlecrack, Politologue and Clan Des Obeaux. Will Ruth Jefferson really want Waiting Patiently to make his seasonal debut against that little lot? Finally, Aintree will play host this Saturday not only to recent Charlie Hall winner Definitly Red in the Grade Two Many Clouds Chase but also Blaklion, who’s looking to reprise his easy success in last year’s Becher Chase. You may recall trainer Nigel Twiston-Davies – armed then only with that lamppost, a ball of twine and his trusty duffel-coat – uncharacteristically opted to miss the Gold Cup with the latter horse last season, despite him being a former RSA Chase winner. The plan was a box-fresh tilt at the National… only for Blaklion to be brought down at the first. Snazza frazza rashin’ fashin’ Rick Rastardly. It was the apex of Aso’s burgeoning career to date when third to Un De Sceaux in the 2017 Ryanair at the age of seven. Prior to last Friday, he had since been sighted only twice, both at Aintree at the end of that season and start of the next. Between times, a tendon injury intervened. At Newbury he returned to the winner’s enclosure after a positive ride in the 2m4f handicap from Charlie Deutsch, who has also come back from an enforced absence of his own. He served two-and-a-half months of a ten-month prison sentence after pleading guilty to dangerous driving while over the permitted alcohol limit and trying to evade police custody. He was only permitted to return to race-riding in October once he no longer had to wear a tag and live under a strict curfew. Deutsch said he hadn’t made the running on Aso before and it was very much the horse’s decision to bowl along. Trainer Venetia Williams, who remained supportive of Deutsch throughout what the rider has described as “huge life lessons which have made me a much better person”, praised him for adapting to the horse’s will. Williams always has a plan mapped out for her horses and mentioned next week’s Caspian Caviar Gold Cup as a possibility but with a return to the Ryanair as his ultimate target. This ended up being a relatively uncompetitive affair, however, and it earned him an 8lb rise. The 2017 Ballymore Novices’ Hurdle winner Willoughby Court has had things tough since a promising start over fences last season. He missed the JLT with a setback and was found to be lame on the eve of this Newbury race won by Aso. Trainer Ben Pauling reported it could take another month to get him back so Willoughby Court is very unlikely to meet his Cheltenham engagement on Saturday week. Sadly, he’s starting to carry a wealth warning in ante-post terms. Saturday’s Betfair Tingle Creek Chase is a proper clash for the two-milers, just as Haydock’s Betfair Chase was for the staying chasers. With the now-confirmed inclusion of the Willie Mullins-trained 2016 winner in Sandown’s Grade One event, jockey Gavin Sheehan ain’t going to get no peace up front with Saint Calvados, who’ll also be racing right-handed for the first time over fences. A strong pace is just what Nico de Boinville will be seeking for Altior, who was increasingly shaping last season as though a step up in trip was calling his name. He engaged the turbo after hitting a flat spot to win the Champion Chase in March but was far less emphatic over Saturday’s course and distance in the Celebration Chase the following month. It might have been that he was feeling the effects of a less-than-straightforward season, of course. However, the danger here is that Altior lacks the race-fitness edge of his rivals and doesn’t only have impulsive front-runners to pick off. Adopting similar tactics alongside him will be Sceau Royal, who deployed them to deadly effect over the course and distance in last year’s Henry VIII Novices’ Chase. Altior boasts an unbeaten 14 for 14 record over obstacles so his reputation is obviously not to be trifled with but, brilliant though he undoubtedly is, you can see a scenario in which he could be more vulnerable than usual here. If that’s the case, 16/1 Min for the 2019 Champion Chase starts to look even longer than it does now. The ante-post Arkle market is already hotly contested and, after winning at Plumpton on Monday, Kalashnikov reclaimed joint-favouritism in many books. Trainer Amy Murphy proclaimed that he’d “learned an awful lot at Warwick” on his chase debut and it’s easy to agree with her. He looked both more alert and more comfortable from the outset, was entirely comfortable jumping upsides the leader, put himself right when meeting a fence on an undesirable stride and responded with a good leap when asked. He did peck slightly on landing once and took off a tad early at another time, dragging his hind legs through the open ditch, but reacted positively to both incidents. Jack Quinlan, who has partnered the horse on all his career starts, was able to ease him clear in the straight, thereby qualifying for Plumpton’s £60,000 bonus scheme for the winners of stipulated novice chases who go on to triumph at the Cheltenham Festival. Voy Por Ustedes was the last horse to bag the money on winning the 2006 Arkle and Kalashnikov is a serious contender to follow suit. Murphy is sensibly planning a programme of further education for last year’s Supreme runner-up, at this stage comprising Kempton’s Grade Two Wayward Lad in late December followed by Doncaster’s Grade Two Lightning Novices Chase in late January. This horse should therefore be well versed come March. The doubt might be whether he’d be vulnerable if the ground rode more typically at the Festival rather than turning soft, like it did for much of last season when Kalashnikov was impressing. Fellow joint-favourite – or clear favourite in some books – is recent Cheltenham winner, Lalor, who heads for this Saturday’s Grade One randoxhealth.com Henry VIII Novices’ Chase at Sandown. Three horses that followed him home last time might re-oppose, including worthy runner-up Dynamite Dollars, Pingshou (who showed flashes of aptitude) and Defi Du Seuil (who didn’t). Another potential opponent is the frankly certifiable three-times chase winner Diakali, formerly trained by Willie Mullins and now with Gary Moore – a horse who contrives to be, by turns, reluctant and reckless. He’d be a thrill to witness at Sandown, provided he consents to line up. Sticking with the Arkle, if Mengli Khan is considered a key impediment to Samcro switching from a polite taking-part-counts-more-than-winning hurdles campaign to a potentially fruitful season of novice chasing, then please permit me to be unconvinced. On paper, last week’s ten-length defeat of Forge Meadow – rated 146 over hurdles and benefitting from both a mare’s allowance and previous chasing experience – is a highly convincing opening bid and propelled him to clear third favourite for Cheltenham’s two-mile novices’ Grade One. But this was a race in which three fences were omitted due to high winds, the winner’s nearest pursuer fell three out and the far less scopey runner-up looked as though fences were something of an intimidating effort for her. Mengli Khan himself was keen in the early stages before jumping to the front with some decent leaps after which he never looked likely to be threatened for pole position. He looked good when asked to take a cut at his fences but uncertain, landing flat-footed, when asked carefully to pop the last two obstacles. He’s reportedly undergone surgery to correct his breathing over the summer but trainer Gordon Elliott retains the tongue-tie. There’s no doubt Mengli Khan has plenty of talent – he was my early shout for last term’s Supreme and performed with credit in third. Although he contested the Group One Racing Post Trophy for Hugo Palmer as a two-year-old, anyone who’s seen him in the flesh knows he possesses the scope for chasing. He’s also proven to be versatile ground-wise, more so than Kalashnikov perhaps. Yet somehow I’m not rushing to take the 7/1. The memory of him running out at Leopardstown last Christmas still bothers me. This is the Arkle, after all. That race is also the target Gary Moore has in mind for Knocknanuss after his pyrotechnic victory at Newbury last Friday. Son and jockey Jamie Moore wisely didn’t fight this headstrong character, who was at times brilliant and at others a brilliant guesser at his fences. It was a breath-taking ride, even from the stands. True to form, Moore senior has eligibility for that Plumpton bonus uppermost in his mind and, having fleetingly considered facing Kalashnikov three days later, now has three further opportunities on which to secure the first leg, weather permitting. Moving our attention up in trip, La Bague Au Roi has earned her place in the Grade One Kauto Star Novices’ Chase – although it’s always possible her trainer Warren Greatrex might have cooled on the prospect after watching Santini make a winning chase debut at Newbury the following day. He’s Kempton-bound, too, this Christmas. The mare faced only three rivals, two of whom she’d beaten before, but Lostintranslation was widely expected to put up an even better fight than he’d mustered when beaten a length and a half on their mutual chase debuts at the same track three weeks earlier. On this occasion, Robbie Power employed different tactics by tracking the pace-setting mare rather than making the running himself, perhaps hoping to outspeed her over a slightly shorter trip. He nudged Lostintranslation to the heels of La Bague Au Roi by the fourth last but his mount barely took off at the next, to such an extent that he broke the fence. The open ditch was unrepairable until the following day. That left Talkischeap to get one position closer to the winner, without ever mounting a threat. In fact, all was straightforward for La Bague Au Roi – even if she was a shade less impressive than last time, making her own running unharried and repeatedly adjusting her stride into her fences. At least that says she’s a measured jumper. Greatrex made it clear in his post-race interview on Racing UK that he’s thinking of missing Cheltenham with this mare in favour of Aintree. He’s coming to the conclusion that a flat track suits ideally and believes – supported by the figures – she hasn’t been at her best in two starts at the Festival. That’s even though she was one of four bang there at the last in the OLBG Mares’ Hurdle last March until pecking badly and fading to seventh. Even if Santini is a daunting prospect at Kempton, I still think La Bague Au Roi should go for the Kauto Star because it’s the right race for her. Indeed, the track might suit her a deal better than it might Nicky Henderson’s exciting prospect, who shaped like a thorough galloping stayer when third in the Albert Bartlett. That said, Santini had an unsuitably inexperienced profile for the Potato Race and acquitted himself well in those circumstances, particularly given he wasn’t able to cover the tactically enterprising move Harry Cobden made on the winner Kilbricken Storm from after the third last. Under a more positive ride, Santini won Aintree’s Grade One Sefton Hurdle next time out. There was little to fault about his chase debut: bar for one mistake, to which he reacted well, it was the ideal start to the discipline. Nico de Boinville asked him to be careful at the last and he jumped it less well than the more experienced Rocky’s Treasure but then came readily clear. He looked typical of a Henderson-trained high-faluter in the paddock, in that he looked sure to come on a great deal for his first-time run. Rocky’s Treasure is a terrifically likeable horse and already a light-years better chaser than he was hurdler. He jumps particularly well and there are high-class handicaps, at the very least, to be won with him. He likes a sound surface. Back in third, Le Breuil ran creditably on his first attempt at three miles but again showed a tendency to adjust right at his fences. Having underwhelmed on his chase debut, Kilbricken Storm was still in with a shout here until outjumped by Santini at the fifth last and then looking increasingly laboured in the straight. He was well beaten when slipping badly and all but falling at the last. Something is not right. That mishap allowed Aintree handicap hurdle winner Mr Big Shot to inherit a distant fifth, having neither travelled nor jumped pretty much from the outset on this wholly uncompetitive chase debut. On the same day at Bangor, it took a series of unforeseen events for Jerrysback to win a warm-looking beginners’ chase at an unheralded 50/1. The price itself was extraordinary, given that prior to being tailed off in a well-fought Cheltenham contest on his return from almost two years on the sidelines, he was both a winning pointer and unbeaten in two starts over hurdles. This was a distinct drop in grade, as rider Richie McLernon was soon to discover. He’d taken him very wide on this left-handed track, presumably because Jerrysback had jumped right at Cheltenham and made a series of scruffy errors when tailed off behind Count Meribel. Both traits were again on show but the McManus-owned chaser just kept coming back on the bridle. Up ahead, in first-time cheekpieces Mulcahys Hill – who’d reportedly behaved truculently down at the start, rearing and needing cajoling to take part – was engaged in a duel with the likeable Euxton Lane. However, the latter was palpably tiring heading to the last and took a nasty-looking fall, legs slithering in all directions. I hope he’s not sustained an injury. That left Mulcahys Hill – no slouch, as the Challow runner-up last season, but regressive since – driven to maintain a two-length lead but the sheer ability of Jerrysback inexorably carried him past near the line. Surprise! Perhaps the most amusing race of the entire week. Back in Ireland, I rather liked Delta Work’s narrow defeat of Le Richebourg. He travelled strongly throughout, showed good agility to adjust quickly as third-placed Jetz jumped left across him at the penultimate flight and was able to inch past the runner-up despite jockey Davy Russell losing his iron after landing at the last. That was caused by Delta Work hanging markedly right on the approach and putting in an extra short stride after Russell had asked him up, causing the partnership to hit the fence and become more unbalanced. It reflects well on the winner that he put the situation right easily and willingly. Delta Work is already a Festival winner, having scored by a nose over the unlucky-looking Glencoe in the three-mile Pertemps Network Hurdle Final. Neither horse got a clean jump at the last but the runner-up lost his back legs by dint of his error and did well to rally as strongly as he did. Yet Delta Work can also be marked up, Russell then having had to extricate his mount from a pocket he’d been politely ushered into by Barry Geraghty allowing Glencoe to hang left on the run to the final flight. Both horses did well to recover from their respective impediments to fight out the finish, clear of the third. The pace wasn’t overtly strong in that Festival contest – albeit quicker than the funereal Stayers’ Hurdle over the same course and distance and comparatively with Laurina’s procession in the Trull House Stud Mares’ Novices’ Hurdle. There was also a stop-start gallop when he was second to Next Destination in a Punchestown Grade One novices’ hurdle in April. So Delta Work’s stamina for, say, a Gold Cup trip hasn’t yet been exhaustively explored even though he improved for stepping up to three miles over hurdles in his novice season. Russell believes “he has options, trip-wise”. He jumps well and clearly has the right blend of cruising speed and staying power to start out on that road. At the age of just five, he’s interesting, though trainer Gordon Elliott did sound a warning note by describing him as “not the most robust”. Le Richebourg looks an improved performer over fences but Jetz still looks too much of a handful and Cadmium – previously beaten nine lengths, conceding 3lbs, by Voix De Reye in a Punchestown Grade Two – seemed to not quite get home on his first attempt at 2m4f. Blow By Blow, winner of the Martin Pipe at the Festival, wasn’t travelling from an early stage. Cubomania, stable companion of the winner, was still going well when falling two out and seems to lack any sense of self-preservation. Finally, a Twitter correspondent admonished me last week for failing to include Vinndication in my summary of the standings to date in the novice-chasing ranks. This was, indeed, a reprehensible oversight, only underlined by the weekend exploits of a certain horse he beat last season – of which more in the next section. Carlisle isn’t the most formidable of chasing venues at which to make your debut but Vinndication was given a proper workout there last month. Settled towards the outer on this right-handed track, he jumped well – particularly when challenged by the tag-team owned by Paul and Clare Rooney. First, it was their Red Rising who laid down his cards from three out and then, after he’d been trumped, Uncle Alistair (in the first colours) made a more sustained bid for glory from approaching the last until near the line. Indeed, the winner briefly looked in trouble but got an excellent leap at the final fence and knuckled down heartily – as we’d seen him do over hurdles – to quell that last threat. He was pulling away at the line. Whether that means he’ll run at the Festival, we’ll have to wait and see what temptations are laid in connections’ path because I think he’s willing and able to take high rank among novice chasers. It may be a coincidence that four of his five (unbeaten) starts have been at right-handed tracks. In the end, a bout of sore shins took that decision out of human hands and the horse ran at neither fixture. But it reminds you that sometimes the best road to Cheltenham is a long and winding one – I would say that, wouldn’t I? – or even to another destination entirely. Owners pay trainers for their expertise and Bailey has done an impeccable job with Vinndication to date. I liked Uncle Alistair, too, incidentally. He pulled 13 lengths clear of Euxton Lane in third and was also making his chase debut. He’s had a wind operation since we last saw him and is improving in his own right. The most striking performance of the past week in this division came not in a novice or maiden hurdle but in a 0-150 handicap at Newbury last Saturday when the auspiciously named Champ pulled his way to the front at halfway and then, remarkably given his exertions, kept on galloping. His christening was particularly daring when you consider he runs in the colours of JP McManus, who latterly retained the services of a certain Sir Anthony McCoy who, in turn, was often referred to by his weighing-room brethren as ‘Champ’. You get the point: they must have been damn sure this horse was good. We’d already had a sneak preview of his talent although, counter-intuitively, the best evidence of this came in defeat when on his hurdling debut and again having been keen, Champ finished a neck second to the unbeaten and more experienced Vinndication, pulling 13 lengths clear of the third. Since then, retaining his novice status for this season, he’d won two minor events in May. It almost goes without saying that Champ will need to calm down, dear, if he’s going to cut it at the highest grade but he’s clearly got all the raw ability required. Trainer Nicky Henderson deems him a nascent chaser but plans to run him next over the same course and distance in Newbury’s Challow Hurdle. There, he might well encounter Kateson – a winner over that same stretch of ground at Newbury the preceding day. Tom Lacey’s grey may have a proud head carriage but he jumps well and rolled his sleeves up for the battle against improving Mr Pumblechook, conceding a 5lb penalty to that runner-up. Bright Forecast had sprung a poignant surprise when winning the opening race on that same Newbury card at 20/1 in the colours of the Aldaniti Partnership, just days after the death of the 1981 Grand National winner’s owner Nick Embiricos. A scopey four-year-old, this Rules debutant managed to win against mostly older rivals despite making a complete hash of the last hurdle and shaping as if in imminent need of a longer trip. Trainer Ben Pauling was wisely speaking of keeping his sights relatively low in the short-to-medium term but you could readily imagine this horse pitching up at Sandown for the Grade Three EBF Novices’ Hurdle Final on Imperial Cup day. Up at Doncaster on Saturday, the Harry Whittington-trained Anemoi was more than equal to carrying a penalty to success in a novices’ hurdle. He ultimately won by eight lengths but had been far from contented in having to cut out his own running and very much shaped as though a step up in trip – or at least taking a lead in a strongly run affair – is what he needs. That same day at Newcastle, the McManus-owned Champagne Platinum completed a treble for Barry Geraghty initiated by juvenile Style De Vole and Buveur D’Air. This grey is a winning Irish pointer and was making his Rules debut. After racing keenly and jumping big at the odd flight, he was very good when asked at the last and well on top at the finish. Earlier this week, Acey Milan regressed on his mildly underwhelming hurdles debut last month when a well-beaten fifth in a Plumpton maiden hurdle. As this horse fared best of the British when fourth in the Champion Bumper in March and has been sent off the odds-on favourite on both starts this season, it’s safe to conclude much better was expected. Meanwhile, Ireland staged the first Grade One novice-hurdle event of the calendar last Sunday, the Royal Bond. Won last year by Mengli Khan, who went on to finish third in the Supreme, it has often been a rich source of talent with the likes of Istabraq, Moscow Flyer, Hurricane Fly, Hardy Eustace, Jezki, Newmill, Alexander Banquet and the mare Like-A-Butterfly featuring on its roll of honour. It’s hard to enthuse to anything like that degree about this latest four-runner affair, dictated from the front by Ruby Walsh on Quick Grabim, however. It was a total crawl and, unsurprisingly, Willie Mullins’ retained rider was in position A throughout and his mount got first run on his rivals in the sprint to the line. Runner-up Triplicate has now twice been beaten by Quick Grabim and twice finished ahead of third-placed Aramon, who himself beat the winner when receiving the superior tactical ride last time they met. In short, Quick Grabim is just about the best of this incestuous bunch but only to a readily attainable standard. Although he finished last of the four and was painfully outpaced from the second last, there was something I liked about Commander Of Fleet. A Point and bumper winner prior to his previous Punchestown hurdle success, he’s only four and I’m sure we won’t see the best of him for at least another year and/or until he goes over fences. So much for him being favourite for the Ballymore, though. Finally in this section, we turn to the mares. Under positive tactics that made best use of her stamina and bold jumping, Posh Trish comprehensively reversed her previous form with Lust For Glory – admittedly on 8lbs better terms, too. The winner might find the two-mile Dawn Run Mares’ Novices’ Hurdle too much of a speed test, however, especially were the going to come up soundish. The nippier runner-up was surely less suited by the testing conditions at Newbury last Saturday but was also perhaps disheartened when outgunned at the final flight. French recruit Epatante, winner of her sole hurdle outing at Kempton last month on her debut for Henderson, is currently 6/1 favourite for this Cheltenham Festival event. She also won a Grade One bumper for her previous trainer. Last season’s Champion Bumper winner Relegate is also worth bearing in mind for this contest, even if she was beaten in mildly aggravating circumstances (as discussed last week) after jumping scrappily on her hurdling debut. Couer Sublime was well backed to win Fairyhouse’s Grade Three Juvenile Hurdle last Sunday but was thwarted by Chief Justice, despite receiving 7lbs from that seemingly more exposed fellow inmate at Gordon Elliott’s yard. A gelding running incongruously in the colours of the Cheveley Park Stud, the winner had already triumphed three times over hurdles and had only met defeat, twice, when encountering the Alan King-trained Cracker Factory – including on his debut in June when trained by Richard Fahey. He’d looked awkward under pressure, worn various headgear and even refused to race for his previous yard but has undergone a transformation for Elliott, perhaps facilitated by an operation to improve his breathing. Here, he made two fairly sizeable mid-race errors before moving into contention on the heels of the principals just as Coeur Sublime was pressing for the lead at the second last. Switching left around him, Chief Justice led approaching the last but was unable to put the race to bed, enabling the runner-up to rally strongly. It was nip and tuck to the line, ultimately decided in a head-bobbing finish. Coeur Sublime is far less experienced than his conqueror, having raced just once on the Flat – beating St Leger third, Southern France, when trained by Peter Fahey – and once prior to this over hurdles. The way he responded to his stablemate’s attack was positive and, even though he was defeated at short odds, he’s going the right way. Cracker Factory beat Chief Justice, in receipt of 3lbs, by seven lengths at Wetherby last month and has since himself been bettered by Quel Destin at Cheltenham. This tends to suggest the best of Ireland’s juveniles are yet to be seen. Possibly Britain’s, too. 05 at Goodwood live on ITV TODAY?